The Forty Club is reputed to be the largest wandering cricket Club in the world. As a wandering or nomadic Club it does not own its own ground, and so always “plays away”. The historic aim of the Club since its foundation in 1936 has been ‘to take cricket to the schools’ by offering State and Public Schools, and Youth XIs, fixtures against experienced cricketers who will encourage the young cricketers to play the game to the highest standards of performance and behaviour and in the best spirit of the game. Nowadays, most of the 130 or so schools, colleges and youth XIs that we play are able to enjoy the services of professional coaching so we can leave the performance side of the game to them. Meanwhile the Forty Club will continue to encourage the qualities of the Spirit of Cricket, to encourage the young men and women to play cricket, stay in the game, enjoy it, develop their skills and to applaud and recognise good performance . Having been created originally for players of over 40 years of age, and being still the leading UK cricket club created for that purpose, the Forty Club now accepts membership from players of 18 years and older. This is not to say that there has been any diminution in the standard or example of play that we wish to set: we particularly want to fill the gap between the ages of say 28 and 45 when cricketers are leaving league cricket, are looking for quality midweek non-league games, and who are not yet old enough for their county senior sides. In many respects the Forty Club is the pathway to the county over 50s sides. The logo of the Forty Club is XL. Yes, these are the Roman numerals for 40. 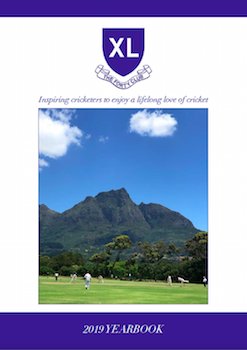 But more importantly they shout out the essence of the message that the Club wishes to impart to young cricketers in the earlier seasons of their cricketing experience. Every year The Forty Club produces a handbook recording all of the news, tales and reviews from the past year, and looks forward to the year ahead. Click on the cover to be taken to the latest edition - read all about us and come and join us! 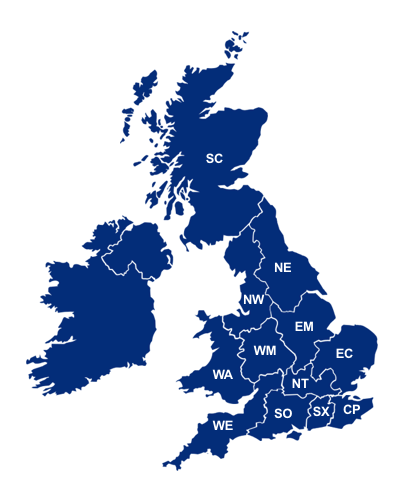 The Forty Club is organised into 12 Districts throughout the United Kingdom and members can play for any District throughout the country. There are also regular overseas tours and the Quadrangular Tournament each year against teams from The Netherlands, Spain and Denmark. Click on the map to find out more.